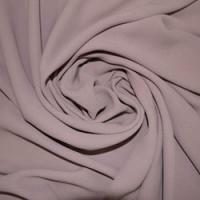 Crepe Fabrics are ideal for women's suits, trousers and lightweight jackets. Crepe Fabric does not crease easily which makes it ideal for travel and with its matte finish can give you a great alternative to satin for an elegant evening dress. This opulent fabric drapes well and is extremely comfortable to wear, keeping you warm in winter and cool in summer. Made in Germany, our Crepe Dressmaking Fabric is a heavy, top quality Crepe favoured by dressmakers for a wide range of designs. 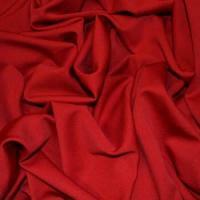 Our range of beautiful, excellent quality Crepe Fabric is composed of 100% polyester and made in EEC. All of our Crepe Fabrics Online are available in a variety of colours from brown, burgundy, burnt orange and ruby. When you buy Fabrics from Calico Laine, you can be sure that you are choosing the best quality Crepe available on the market today. Any item crafted with our Crepe Fabric will last for many years to come.